Offering you a complete choice of products which include stainless steel labour table and steel labour table. With the help of our advancement in technology, we are providing an exclusive range of Stainless Steel Labour Table in the market. 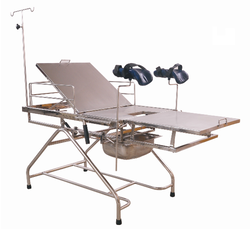 This Stainless Steel Labour Table is available in the market in various sizes. Further, the offered products are available in the market in bulk at most reasonable rates. We ensure to deliver these products to various places in given time frame. Relying on our expertise, we are engaged in manufacturing and exporting in wide range of Steel Labour Table in the industry. 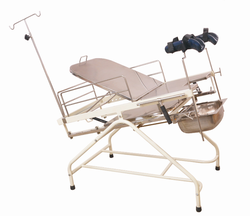 This Steel Labour Table is known for its durability and easy to use. Further, we also customized this Steel Labour Table as per the requirements of the customers. We use good quality steel to manufactured this Steel Labour Table.